sure to mark your life for good. Brand New Live Worship CD! 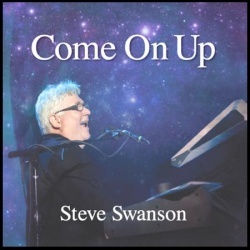 We are excited to announce our newest CD "Come On Up". 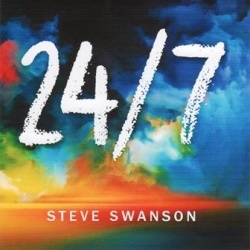 This long awaited CD features many of Steve's favorite new songs like: Closer Than My Skin, Standing in the Glory and Come On Up. 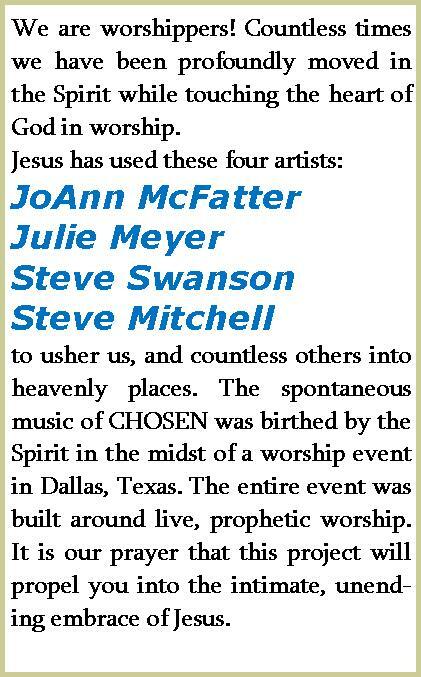 The recordings were captured live and when you listen you'll feel as if you are right there standing in the glory!! 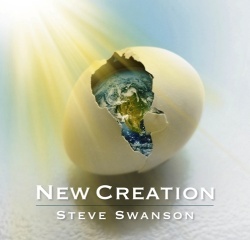 New Creation: "Therefore if anyone is in Christ he is a new creation…." 2nd Cor. 5:17. 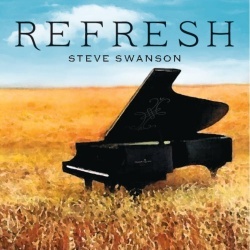 Celebrate your life in Christ with this live worship CD. This wonderful collection of songs will have you dancing and praising God for the life you live in Him. It's a celebration of salvation, and a revelation of His majesty! Songs include: Joy in the House, I Just Want to Celebrate (remake of the classic Rare Earth hit) You Will Reign, No Greater Love, and more! 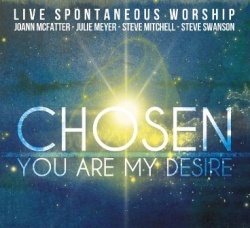 If you love to worship, praise, and celebrate this CD should definately be a part of your collection! 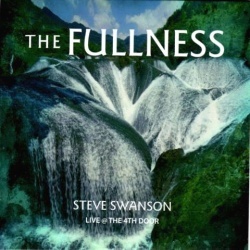 Come soak in the river and enjoy the spontaneous journey into the fullness of God's presence, live at The 4th Door Worship Arts Healing Center! When God spoke into the darkness “Let there be light,” there was light. In Him is life, and His life is the light of men. 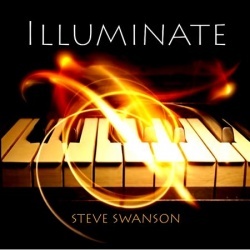 This CD is a collection of spontaneous musical expressions of light using the beautiful sounds of acoustic piano, and the captivating sounds of the synthesizer. Our desire, as you listen, relax and bask in the radiance of God’s presence is that he will rejuvenate your soul and illuminate your Spirit. 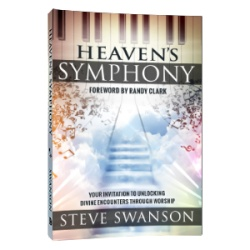 Take a musical journey through the book of Revelation! Outlined by the scriptures, this cinematic, musical expression takes you through the complete book in a 60 minute symphony of sound. Hear the revelation of the Lamb, listen to the battles in heaven, and experience the victory of the harvest! The music is classical in nature, but with futuristic soundscapes woven within it's tapestry. Sit down and read along while you experience the word come to life. Or just let the sound wash over you. 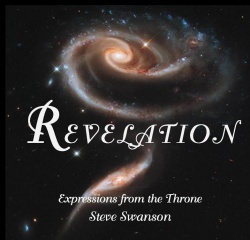 Whatever your preference, "Revelation" will bring you hours of inspiration! 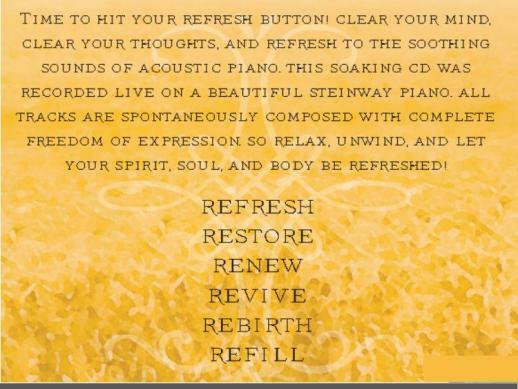 After many requests for a piano CD...finally it is here!!! This one hour soaking session will refresh your spirit, soothe your soul and restore your body. 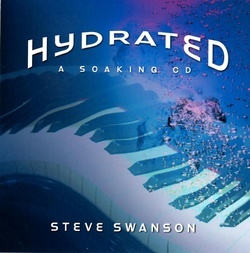 Hydrate yourself in the waves of peace that come from this live instrumental CD. Recorded live on a beautiful Steinway Grand Piano. Happy soaking!! !